Oops, I forgot to include some of the new GUI from the definitive 1.10 pack Rhodox made in the patch. I'll be sure to include it in the next update which will also include the rest of 1.12 features. 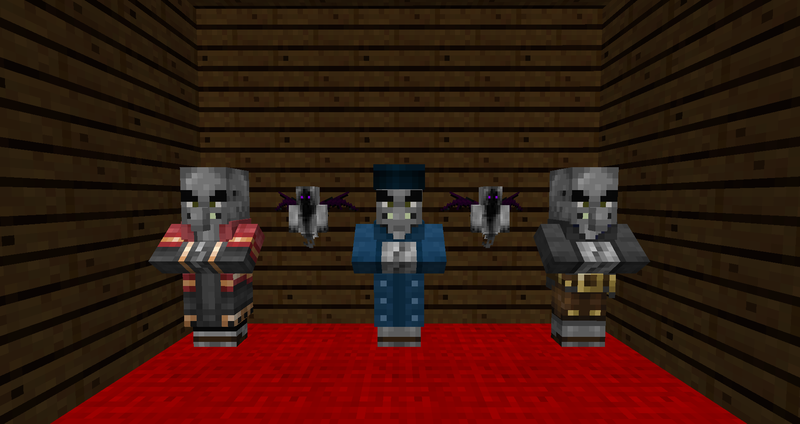 I'm currently done with beds and am currently working on parrots and Illusioners. 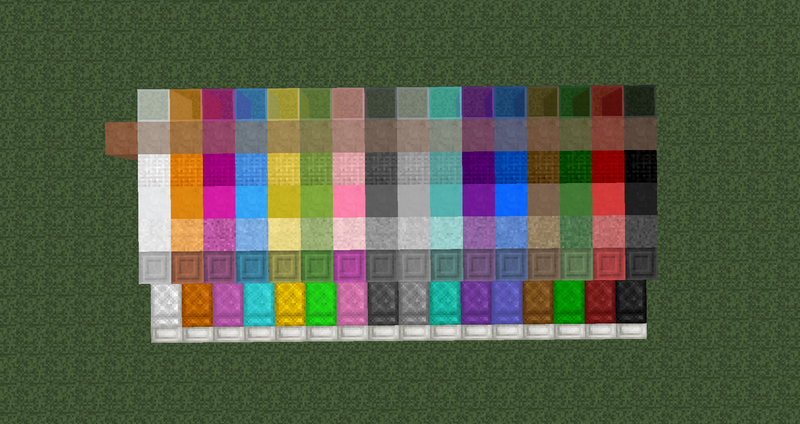 New 1.12 GUI stuff will take a while though. Do you know when this will be updated? It's mostly done. All GUI is done. All items are done. All blocks but the glazed terracotta are done. Illusioners are done but parrots are not. There still needs to be a few tweaks here and there but It's usable so I updated the pack. Here's a link to it if you don't want to go back to the front page for it. Thanks! Looking forward to the final update. Could I also convince you to remove the "texture" from Concrete, and keep it close to vanilla? It just looks like different-colored terra cotta in the current version, but I was really looking forward to using it for the flat color. It is technically differently colored terracotta as the concrete textures come from painterly assets. Since they have the same color palette as wool though I may increase their saturation. I will also decrease their contrast thus making them have less texture. Right now parrots are supported. They're barely different but they have the painterly color palette instead of the default one making them look nicer. I think I put a pic of them in the OP. Edit: Made the changes but they aren't public yet. I still feel that more needs to be tweaked. Mostly with pink and light blue blocks. That looks better. I would still like it if it were just flat color, like vanilla. I logged in just to say thank you. I can't tolerate Minecraft without painterly. I used it for many years and to see it being continued brings me great joy. The patch has nothing to do with this, but I didn't know where to post this. Hoping someone will recognize the problem and point me in the right direction. I have Trees on Fast, I prefer that look over the transparent leaf block. 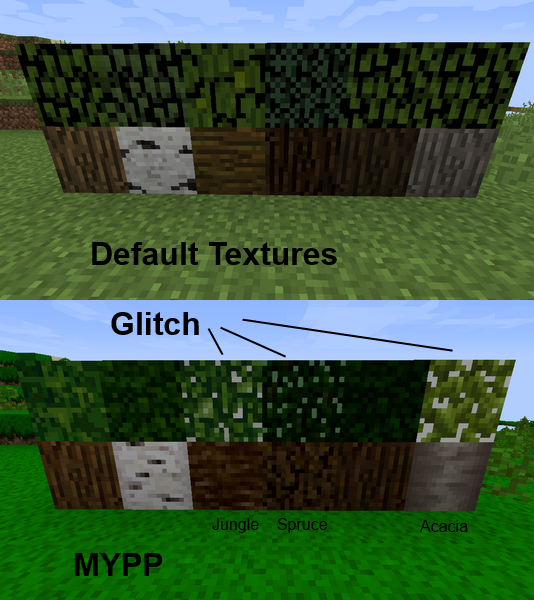 The leaves for the Jungle, Spruce, & Acacia Trees are glitched. I remember dealing with this but forget how to fix it. Odd, I thought I already posted this but I guess not. 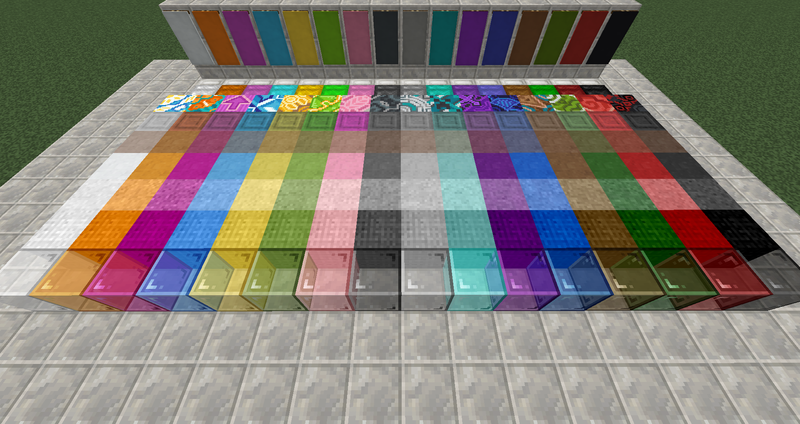 The pack is updated for 1.12.2 and the concrete changes are added. Thanks for updating. Painterly was one of the first texture packs I've ever used and I'm glad it is still getting updates. Hey, I have some unfortunate news. 1.13 is coming up and I don't think I can make/edit enough textures for most of the new features. I was originally making a 1.13 update but ever since it was fused with 1.14 I don't think it will be completed. I'm terribly sorry about this. It's working for me. Perhaps it's working now. Maybe we should make a backup of the Painterly site and pack maker somehow, just in case it goes kaput like so many other texture pack customizers. This is for the Painterly website right? I can still access it without any issues. If you are talking about the download links to the patch then I may need to update the links (although they still work for me). The painterly pack was the first texturepack I ever even saw in Minecraft. It is great to see someone continuing it! I've had the same issue with the Painterly customizer. Though the download link still works for the pack containing all the alternatives. It's not as user friendly, but at least all the options are still there.